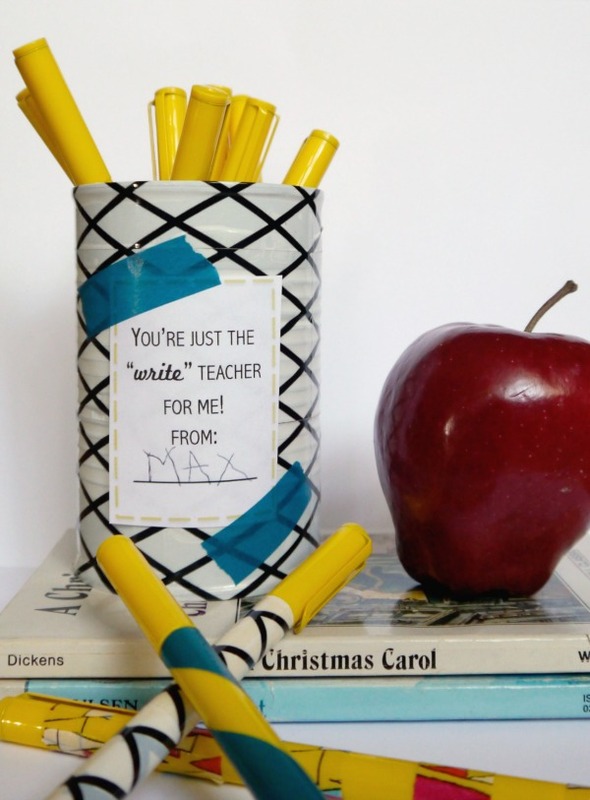 You're just the write teacher for me! - C.R.A.F.T. You’re just the write teacher for me! I like cheesy sayings. If you remember, I went a little nuts last Valentine’s Day with things like, I like you a whole lotto, You wormed your way to my heart, and Don’t make me wine, be my Valentine! There were lots more too. 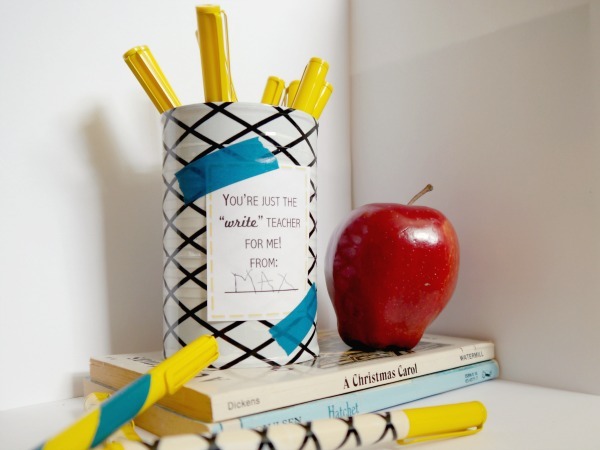 Here’s a whole list of 100 cheesy Valentine day sayings paired with little treats. 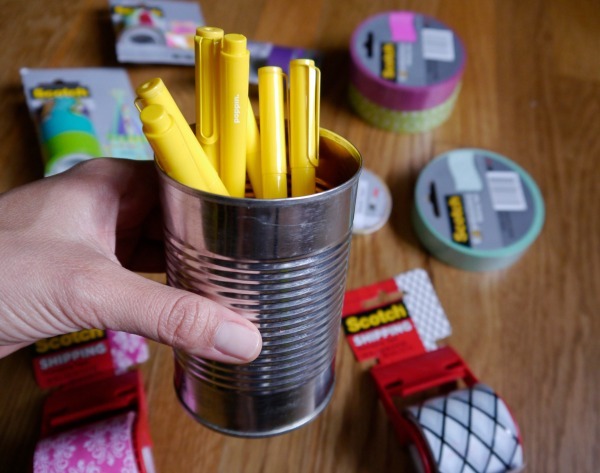 So, when Scotch Brand asked me to do a little back to school crafting with their fun new line of tape, I said heck ya! And then I got even more excited because this little saying popped in my head: You’re the write teacher for me! And then I decided to cover another tin can in tape and this time get really crazy, and add washi tape to spruce up some pens for teacher! It all started with this bad boy. I ripped off the label, and cleaned her out. Then, added my pens for a little looksy. 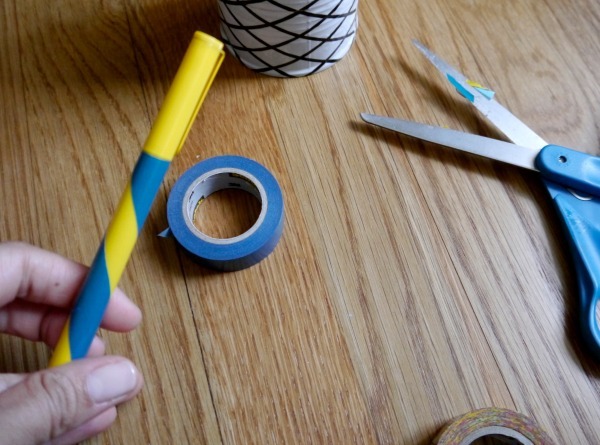 And a little side note about the fun tape… it’s are available in over 100 colors, patterns and in 4 varieties (magic tape, masking tape, washi tape and shipping tape). 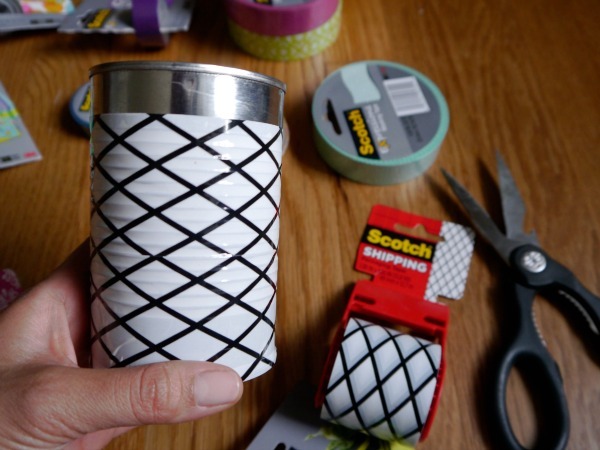 I’m using shipping tape and washi tape for this project! Scotch Expressions Tapes are available at office superstores and mass retailers nationwide, as well as online. Check out ScotchBrand.com/EXP to find a store near you. It’s easy! Just type in your zip code. The tapes are cost range in price from $2.50 (single pack)—$5.99 (triple pack). 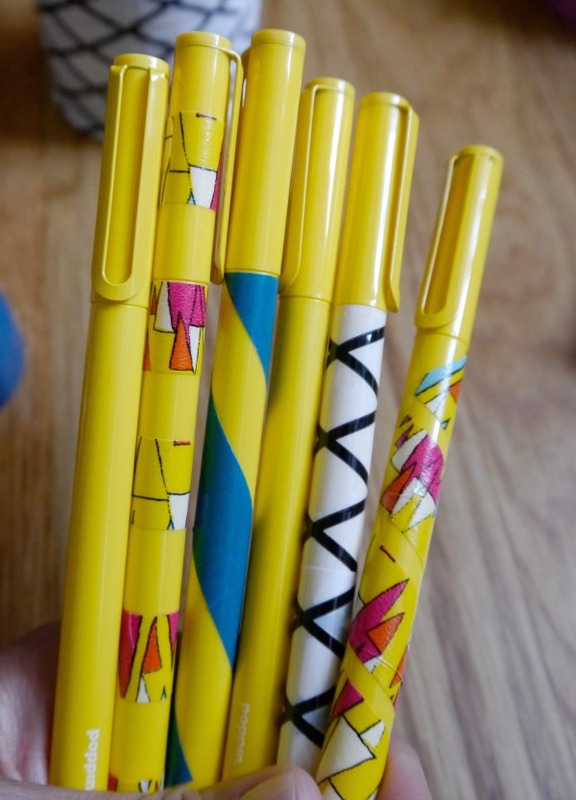 I fancied up some of my pretty yellow pens wish washi tape. I printed out one my fancy little labels and added some washi tape to stick it on my can, and she sits ready to be gifted… to no one, ha! Since I don’t have kids in school. Actually, Andy’s mama is a teacher, so I’m going to ship this cute little guy to her! 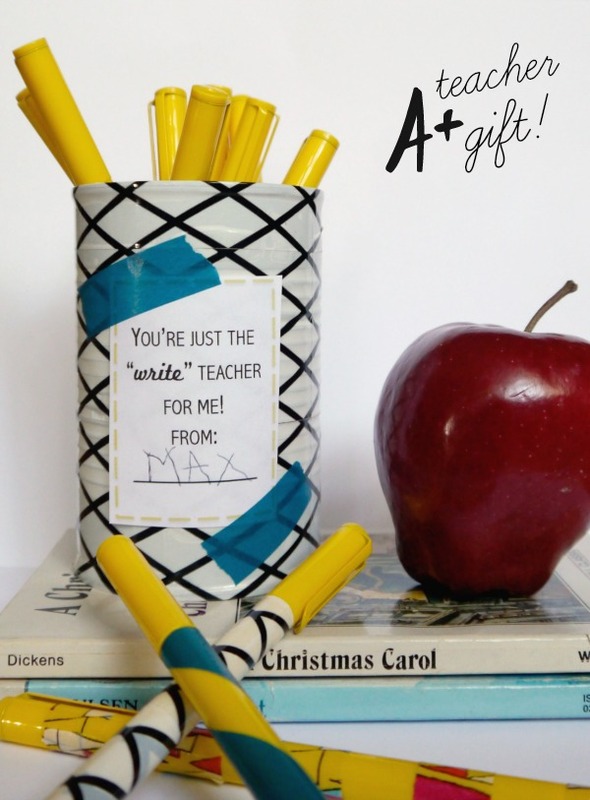 I was a teacher for 4 years, and can 100% vouch for the usefulness of this gift! Oh and I totally wrote “Max” on the label myself, ha! 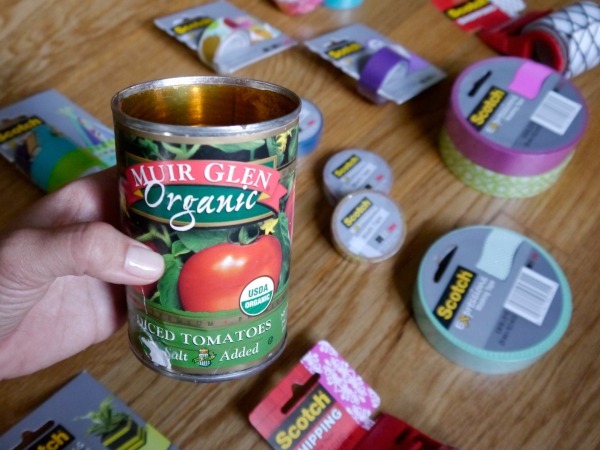 So what do ya think teachers… do you agree that this is a useful and needed first day of school gift? And non teachers, it’s so easy to make! Happy back to school days, y’all! One last fun thing, if you’re a pro gift wrapper, you might want to enter the Most gifted wrapper competition held in NYC on Dec. 6th! 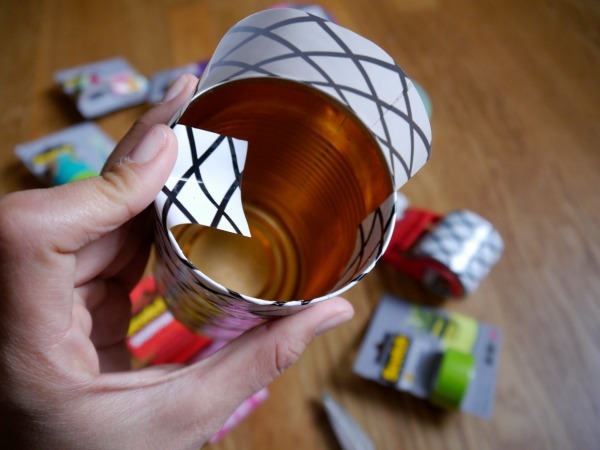 Oh and if you liked this tin can craft, you’ll love these 49 tin can craft ideas! What a great, frugal idea. I am certain that all the teachers in our lives can always use pens/pencils. Thank you for sharing at Snickerdoodle. Hope to see you again tomorrow!